Fukuoka is part of the region of Kyūshū, which is Japan’s third largest island and is the most southwesterly of its four main islands. Kyushu was the main conduit for continental influences in Japan because of its close proximity to the Korean Peninsula and it is thought that rice farming was introduced into Japan through the Kyushu province around 500BC from China. Mii no Kotobuki was established in 1922. 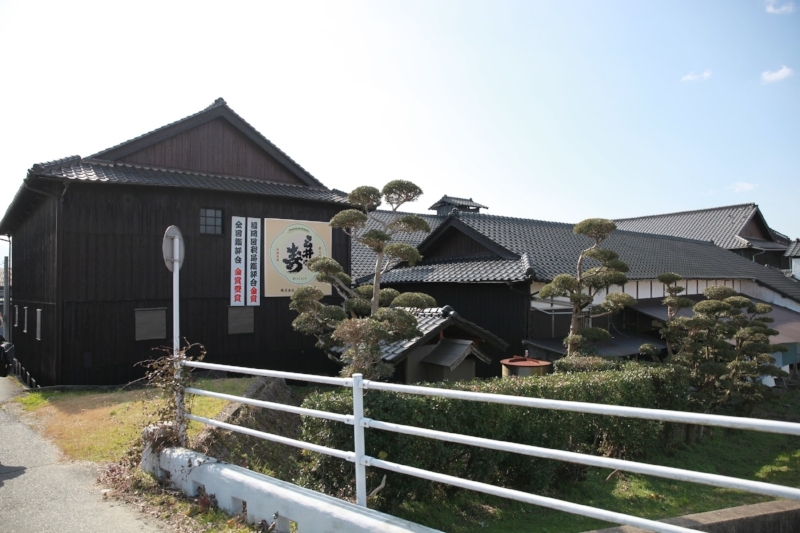 The brewery is located along the Koishiwara river with the beautiful scenic back drop of the surrounding rice fields and the Mino mountain range in the distance. The Toji [Master Brewer] at Mii no Kotobuki is Tadatsugu Inoue who took over as Toji in 2002, although he was working and assisting his father in Sake-making since 1996. Up to 35 years ago Mii no Kotobuki, like many small breweries at the time, were sub-contractors to larger producers of Sake. After a trip to France to visit Bordeaux and Burgundy Inoue-san’s father returned home and decided overnight to stop volume-based production and to focus on quality and believed with a lot of hard work they could steer the business to success. He was correct. Today with this high attention to detail and by producing smaller amounts of sensational sake, they have built a dedicated local demand and a strong following amongst sake connoisseurs across Japan. Mii no Kotobuki utilise ‘Itoshima’* Yamada Nishiki rice as well as Gin no Sato and a local variety called Yumeikon both of which are grown locally. In addition Mii no Kotobuki contract local farmers to cultivate two specific rice types; Kokuryo Miyako & Mii-Shinriki. The latter of which is grown specifically for Sakemaking at Mii no Kotobuki and is not being used by any other brewery in Japan currently. * Yamada Nishiki is known as the “King of sake rice” because of its quality for sake brewing. This rice strain is notoriously difficult to grow due to the length of the ears of its large grain which makes it susceptible to strong winds. This limits where this strain of rice can be cultivated and so the majority of Fukuoka Prefecture’s Yamada Nishiki is grown in Itoshima. Itoshima has great weather and fantastic soil and the local rice growers are producing exceptional Sake rice prized by Sake brewers like Mii no Kotobuki.